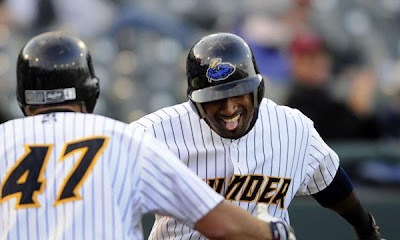 The Portland Sea Dogs took down the New York Tankees AA affiliate Trenton Thunder 5 - 3 last night in Trenton. University of Maine Assistant Head Men's Basketball Coach Mike Burden is facing sexual misconduct charges after an incident on Sunday. Burden immediatly resigned, there has been no comment from the University thus far. The NHL decided against suspending Carolina Forward Scott Walker for his sucker punch on Bruins Defenseman Aaron Ward. The University of Southern Maine Huskies Men's Baseball Team earned an at large bid for the Division III Baseball Tournament. Yesterday's high school scores can be found right here.